Website easy to use, excellent selection. I couldn't be more pleased with the delivery time and the quality of my order. Unbelievably fast delivery, a gift to my son. He absolutely loves it (he chose it from your website) and says he knows it will make his older brother jealous. I'm very happy with my experience, and my hat. Loved everything about gemtlemans emporium. Have already shared this fantastic website with friends and coworkers. Everything we purchased for my fiance for our wedding fit perfectly and looked great! The quality of the products were far better than we expected. Very pleased and we look forward to having him wear the ensemble at our June wedding! Thank you! I volunteer at a Historical Museum and needed my own outfit. I ordered a skirt and in less that a week I received my order even faster than they had promised. I normally shop at Gentleman's Emporium, last week was the first odd experience I've had--There was trouble with my vest and tie tack upon the delivery situation, I mean just with tracking all the rest was smooth and I did get product on time so 'nothing HORRIFYING' I love Gentleman's Emporium and Western Emporium as well. The only problem I had was one of the buttons of my glove was broken, I am unable to close it, but again, Nothing HUGE! You guys are awesome! Keep up the great work and stay sweet as always! I worked with Noel and he was very friendly and very informative. The product is great and will be used a couple of times actually; one for a school project and then again for the Memorial Day parade in our hometown. The product I purchased and the service I experienced both met my expectations and then some. We own a wagon and go on organized trail rides, parades and just around town. People come out to see us all dressed up and riding down their streets, now we will look even better thanks to you. I called customer service about the ladies boots and they were polite and answer my questions. Also going to Tombstone this summer where visitors come dressed and stroll down the wooden side walks. GREAT PLACE TO SHOP RM NORTWEST TENN. I was looking for a certain hard to find hat, discovered GE and there it was- 3 days later I was wearing it! And "Made in USA"!! Good company! Unbelievable store, I'm so happy I came across it. Extremely personable and Amazing products!!! Very nice product for the price, shipped very fast. My son was happy with it. The sizes were small, but you had mentioned t hat in the sizing information. It was actually a little more smaller than I expected. The quality is good and the prices are reasonable. The delivery time was very good. I will continue to use you in the future. The sunglases were exactly w hat I wanted...need to come up with some more unique styles.......will do more shopping later, Thanks for being there. This was my second purchase and both times I have been completely satisfied. So thrilled with service and staff! Couldn't thank you enough, and the fast delivery time! Thank you again! Will use you again and HIGHLY recommend you! I live on the other side of the Planet ! The Planet ! The service i got was as if i worked next door and was the owners favorite relative. The product is first class and very well made. Love you work or as we would say here in Australia, Bloody Grouse As Maaaate. It would be nice if we could track our delivery. This is the second time that I have used your online service for dressing museum mannequins. I have found the clothing high quality and well done. Customer service is like dealing with other professionals who understand the demands that our field places on us for historic accuracy. As always, a great shopping experience. Thank You. Your items are really good. I do appreciate them in terms of quality, and looking. This just takes me back to my classic style t hat I value. The shipping and handling process was excellent. Anyone who really is a man of taste will never hesitate to go for your items t hat are unique. Good job! 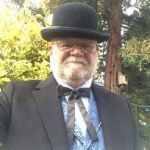 Very satisfied with the frock coat I ordered.
. Bought 2 outfits to wear at Tombstone this summer when we revisit there. We will be so proud to stroll down the street looking great and in style. I sew and the construction is super, every little detail is done to perfection, the seams will not fray! Great products at a fair price, shipped in a timely manner. I'm a picky shopper and I' am hard to please but this store/ web site sells true quality items and I'm completely satisfied . I purchased a blouse and the item is just gorgeous! Looking to buy boots and another blouse :) thank you guys! You are on my favourite list. Very fast shipping, merchandise was good quality and as advertised. Will definitely shop here again. Loved what we bought and it was perfect for what we are using them for! I'm glad we went bigger on shirt bc didn't seem like measurements were accurate but blouse fit perfect! I think shipping got mixed up and I got it really fast but think I paid for 2 day shipping when didn't intend to. Great service! Shipping was very quick, great selection of items and easy to order. I ordered the Western Single Point vest - Italian Lamb Leather - Antique Brown and it was shipped quickly. There were no problems with my order, and I love the vest. The only issue I had was that the buttons were loose, and I had to resew them on after just one wearing. I did not get too upset about this, as it is fairly typical of modern clothing manufacturers. I had a similar issue on a $400 leather jacket (who woulda thunk?) - one would think that the attention to detail would be present on expensive garments, but it is just not there anymore. Thanks for the great buying experience Historical Emporium!! The buttons are not your fault! This was my first purchase from Gentleman's Emporium and I am very satisfied. The person who helped me knew the product very well and answered my questions. Delivery was prompt and I am satisfied with the pants I bought. I'm very happy with my purchases at historical emporium. Good quality above all. I have wanted this coat for years. It was exactly what I was looking for. I was extremely pleased with the quality of the men's suit t hat I purchased. I would most certainly purchase from you again.